The Rat Terrier is an all-American breed. These dogs were the result of several terrier breeds, which has given them their unique characteristics and appearance they have today. Throughout history, the Rat Terrier breed has been used for their agile hunting skills, excelling at targeting small game such as rats and rodents. Rumor has it that President Theodore Roosevelt coined their name after his own dog who took care of the rat infestation problem that was occurring in the White House during his presidency. Although there is still speculation whether it was the rat terrier or a different terrier that the president owned, the name stuck and has been used ever since. Starting in the 1910s, Rat Terriers were used on farms across America to control pesky rodents. They were often interbred with other varieties of terriers to improve their speed, size, and hunting skills. There was then a decline in the popularity of Rat Terriers after farmers began to use poison to control the rodent situation. For about 30 years after, the Rat Terrier was confined to a few breeders, until the 1970s when they regained their popularity once again. Fearless, intelligent, and stubborn are all Rat Terrier characteristics. They tend to be wary and reserved when it comes to meeting new people, and can even have trouble with other household pets if they aren’t socialized properly at a young age. It is important to familiarize your puppy with new people, places, sights, and experiences so that your pup will become a well-behaved household pet later on in life. The Rat Terrier is a loving companion for any household. Whether it’s a game of fetch or a walk in the park, this breed enjoys any interaction with their owners. 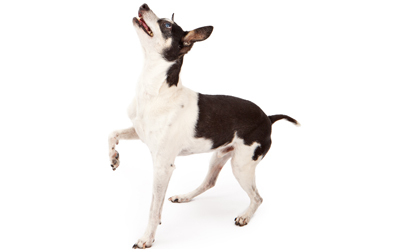 Just like with any Terrier, the Rat Terrier personality can be stubborn and mischievous. However, when trained properly, they can be loyal companions to their human counterparts. Training a Terrier can be quite challenging. Rat Terriers are a very intelligent breed, but they tend to be stubborn and have a mind of their own. The owner that would be best suited for this breed is someone who has a lot of training experience or one that is willing to seek outside professional help. The best approach to training a rat terrier is to start when they are puppies. The earlier your pet can conquer the basics, the better. Once they have mastered common tricks, try going into agility and Earthdog activities. When it comes to their daily walks, make sure to keep them on a leash at all times. These dogs are small and mighty – able to outrun anyone once they’ve found an animal to chase. They are also notoriously famous for escaping out of backyards, so make sure your home is adequately set up for their mischievous behavior. It’s always recommended to have your pet wear a name tag and have them microchipped by their veterinarian just in case they make a run for it. Bred for hunting and working, the Rat Terrier breed needs plenty of exercise to satisfy their high level of activity. It’s recommended that they get 20-30 minutes of walking or running every day. Rat Terriers also love to play games with owners. Fetch and tug-of-war are some of their favorite activities, and they will continue to play as long as they have someone to play with. Sufficient exercise is crucial for this breed. If they are kept in a confined space for too long without any exercise or human interaction they can easily become bored. Once boredom sets in, they become restless and destructive around the house. Whether it’s digging holes in the backyard or chewing the living room furniture, the Rat Terrier will find any way to cause trouble if they are not exercising on a daily basis. Rat Terriers life expectancy is typically around 13-18 years old. Throughout history, the Rat Terrier has fluctuated in their popularity. It wasn’t until 2013 that they were officially recognized by the American Kennel Club. Currently, they rank in the 96th position for breed popularity in the United States. The Rat Terrier breed can vary anywhere from 10-40 pounds. That’s why it is very important to take your pet’s weight into consideration when it comes to the proper portion. 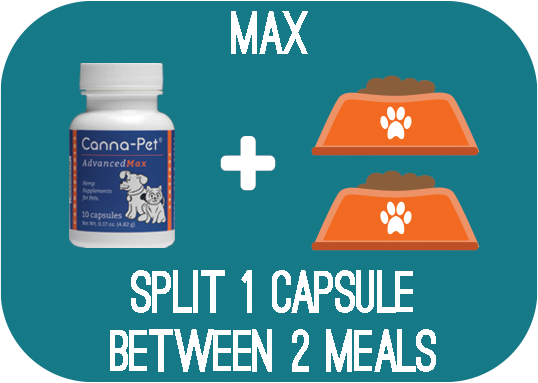 For dogs that are between 10-15 pounds, they should be fed ½-1 cup of food daily, split into two separate meals. For pets that are between 20-30 pounds, their feeding should be adjusted to 1-1 ½ cups. If you are confused on how much you should be feeding your pet, consult with your veterinarian for suggestions. What’s most important is the quality of food that you are feeding your pet. Look for all-natural ingredients such as chicken, fish, and vegetables as the main components to your food. Make sure to avoid any animal byproducts or fillers that are commonly found in low-quality food. In general, Rat Terriers showcase a white coat with different colored markings. This breed also can showcase a wide variety of colors including brown, black, tan, and rust. Their coat is short, thick, and shiny, and can be easily maintained with moderate brushing. To keep their coat healthy and free of loose hair, use a soft brush or rubber mit twice a week. Keep in mind that they go through a heavy shedding period during spring and fall, so extra brushing may be necessary. Rat Terriers do not need to be bathed often, however this may vary depending on their activity level. Make sure to check their ears weekly in case of infection or wax buildup. In order to prevent gum disease and tartar buildup, veterinarians recommend that you brush their teeth at least once a week. Are Rat Terriers Good With Kids? In terms of the temperament of Rat Terriers, they are known to be patient and loving creatures. Rat Terriers can make for great children companions when raised with them at a young age. Like previously stated, this breed thrives off of human interaction and needs plenty of attention to live a happy and healthy life. However, it is important to note that Rat Terriers may be overly protective with family members or hostile towards strangers. That’s why early training is critical in order for them to become well-mannered household pets in their future. No matter how friendly your pup may be, it is always recommended to supervise any interactions between a child and a dog. Not only is it important for your dog to feel comfortable in a home setting, but it is also necessary that your child knows how they should behave towards a dog. Once these boundaries are set, there should be no conflicts between your beloved pet and children. Generally speaking, the Rat Terrier has few health problems of major concern. Due to their petite size, they have a life expectancy of up to 18 years. Below is a list of common health issues that affect the Rat Terrier. Allergies: Food allergies, contact allergies, and inhalant allergies are all common conditions that affect Rat Terriers. Depending on the type of allergy and the severity, treatment can be quite simple as long as the source is targeted. Malocclusion: Commonly known as an incorrect bite, this condition is a deformation in the jaw structure that causes misalignment. Incorrect bite is oftentimes seen in the Rat Terrier breed in three different forms – underbite, overbite, or wry mouth. Surgery may be necessary in severe cases. Patellar Luxation: Patellar Luxation is commonly seen in smaller dogs just like the Rat Terrier. This occurs when the kneecap becomes dislocated out of its socket. This movement within the knee socket can cause serious pain, and can even lead to crippling in extreme cases. Skin issues: Demodectic Mange, color dilution alopecia, and other skin issues related to allergies are all common health problems for this breed. Legg-Perthes Syndrome: This disease causes deformation of the head on the femur bone, which leads to pain, inflammation, and difficulty walking. Legg-Perthes Syndrome is commonly seen in miniature or smaller breeds compared to their larger counterparts. Epilepsy: Epilepsy is the most common cause of seizures found in dogs. This neurological disorder can be caused by a number of different issues such as trauma, tumors, or infections.